Artisan bread baking equipment, tools and accessories. From innovative silicone bread bowls to traditional brick ovens. Just before Christmas, I received a beautifully presented package from Eezi-Slice, a company centered around its founder’s invention; the Eezi-Slice bread slicer. I agreed to review the bread board so here are my thoughts after having used the board for a month. 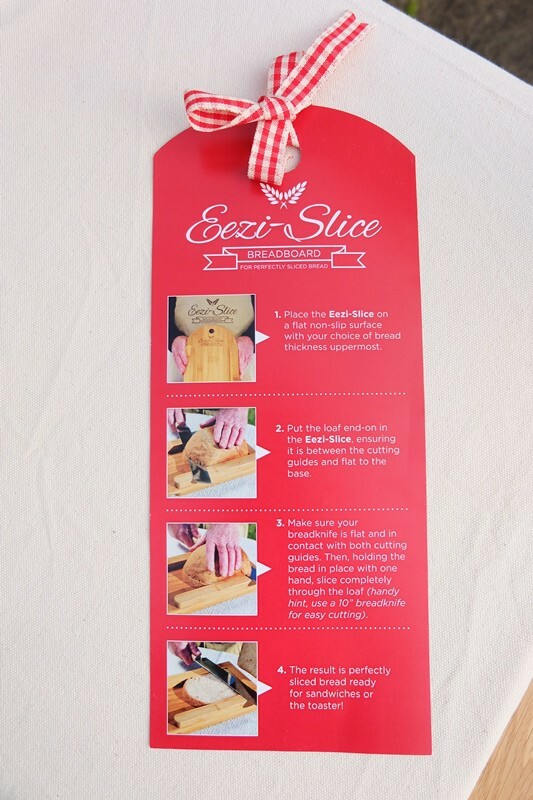 How does the Eezi-Slice bread board work? 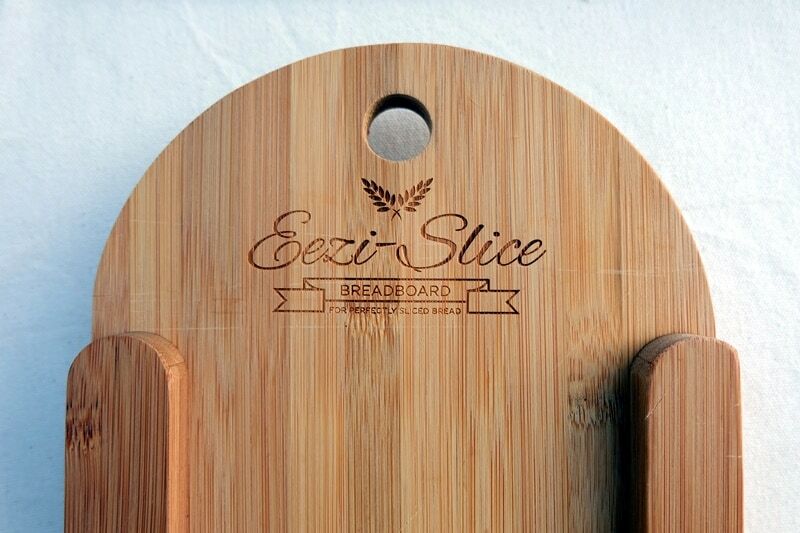 The Eezi-Slice bread board is unique in what it does, the design is simple yet effective. The board has two sides which allows you to either cut a “thick” (19 mm) or a “thin” (12 mm) slice of bread (the maximum slice width is 127 mm). That’s the simple premise. If you follow the instructions (see image below), it works perfectly every single time. It’s easy to use and unexpectedly addictive! Tip: To avoid the board from sliding while cutting just put a moist sponge cloth (or other non-slip material) underneath. See a demonstration video (by the inventor!) over on the Eezi-Slice website. How has it performed in my test kitchen? Having used the Pumpernickel), it absolutely delivers on all of its promises and is now the only way I cut bread. Having uneven, sometimes broken-up slices of bread had not particularly bothered me in the past. After all, it was always predominantly about the taste for me. However, having the bread board in use has made me less anxious (who knew I was?!) about cutting up my homemade breads. The breakfast serving of bread is now completely predictable. My guests get to taste good bread which is now also impeccably presented. It’s also great for getting those unstable and shaky ends of bread loaves sliced up without the usual hassle. Just watch your fingers and lay your hand flat on the top of the bread to slice safely. The lack of crumb catching (a feature pointed out as a must-have in this previous post on bread cutting boards) is not a huge issue as the crumbs are mostly contained by the sides (cutting guides) of the board. The sturdy wooden board is made from sustainable sources. The website states it’s made from woods ‘such as bamboo’, so I’m not sure if the whole board is bamboo or if other kinds of wood are used as well. I also love the bread knife which can be acquired with the board. It’s absolutely perfect for the board and cuts superbly – even through very hard crusts and stale bread loaves. In terms of alternative bread slicing tools, I can compare it only to the electric slicer my parents have in use. The electric bread slicer does win when it comes to versatility. The bread board offers a thick and a thin slice, but my ideal slice would perhaps be somewhere in between. However, the Eezi-Slice wins on style, it saves space and is obviously specifically designed with bread in mind (always a winner in my books). 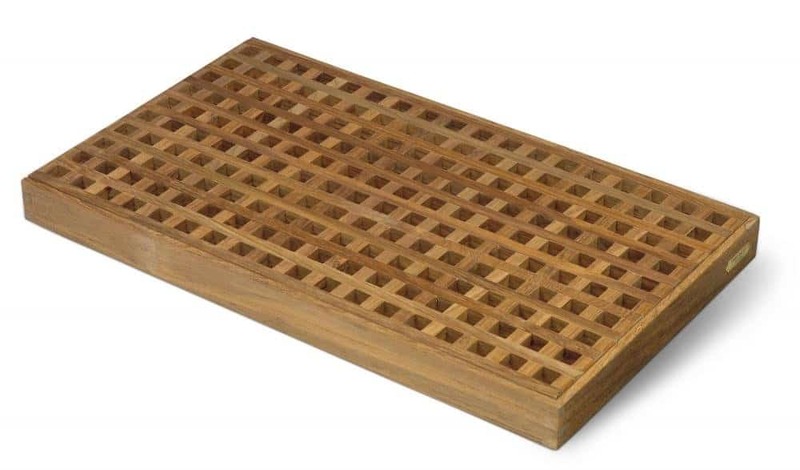 So if you are considering buying a board, rest assured it’s a high-quality, well designed and highly useful utensil for the perfectionist baker, bread lover and/or host. Bannetons are baskets for bread proofing, used to hold shaped loaves as they proof and undergo their final rise. These dough rising containers are also referred to as Brotform in German and Gärkörbchen in Austria and come in various shapes and materials. There is plenty of variety out there, so here is my quick guide to banneton baskets to get you started. Bannetons are great for doughs that are too sloppy to proof as free standing loaf without flowing into a flat bread. Bread proofed in a basket can therefore be wetter as the dough is held in shape during the proofing process. Once proofed, the loaf is flipped or rolled out of the banneton basket and goes straight into the hot oven, giving it little chance to relax into a puddle before the bake. You’ll find that, as the proportion of rye in bread recipes increases, bannetons become more useful, providing lateral support for fragile loaves. For a higher and prettier result, loose doughs are therefore best supported by proofing baskets in order to rise upwards, not outwards. Put your loaf into the basket upside down (seam-side up). Turn out the loaf onto your baking tray lined with baking paper or La Cloche baking dome or your baking peel, depositing the bread gently on to the surface, before transferring it into the hot oven. A problem I faced when using my round wicker banneton for the first time was that my dough got stuck in the basket. This is because new cane bannetons need to be conditioned prior to their first use. Before its first use, lightly mist your cane banneton with water and dust it with a layer flour. For any future uses, lightly flour your basket before you put in the dough and dip your dough in flour before you put it in the basket. However, be careful, as too much flour results in a thick, floury crust and will diminish the cane’s spiral pattern, so you may have to experiment before you get it exactly right. I like using white or brown rice flour to dust my banneton and to bathe the loaf in before it enters the basket. It will give your loaf a beautifully clean finish. After use, leave it to dry out for a day, don’t place it back into the cupboard straight away. Brush with a dedicated stiff brush and store your banneton in a well ventilated spot. I’ve never washed my bannetons as the brush does the job well. It’s not recommend to wash it and absolutely avoid soaking it. However, every few months, you can place your proofing baskets into the oven at 150°C for 15 minutes to kill potential bacteria which may be lingering. There are several types of bannetons. I personally prefer cane baskets but here are your options. Cane wicker bannetons – Wicker makes an ideal container as it allows the air to circulate around the dough and let it breathe. Cane baskets will give your loaves a beautiful pattern and last a lifetime. Wood pulp bannetons – Mostly made in Germany from 100% local spruce trees and less prone to sticking! Lined bannetons – Linen-lined proofing baskets are also a great choice when picking a banneton. What size banneton should I use? Proofing baskets come in different sizes, so make sure your dough quantity is aligned with the banneton basket size. An 8 inch round banneton is suitable for approx. 1 pound or 500g of dough while a 10 inch round banneton will be fine for 2 pounds or 1kg of dough. These sizes will give the dough enough space to rise and expand also without spilling over the sides. If in any doubt, it’s usually better to use a slightly bigger banneton as it is not necessary to fill a banneton completely. The important thing is that the dough doesn’t spill. You may not get the full spiral effect of the banneton rings by using a slightly bigger size but the banneton will still be able to do its primary job i.e. hold the dough’s shape during the proof. Finally, make sure that the loaf coming out of the banneton fits into your oven and fits into any Dutch oven or baking dome you may be using. 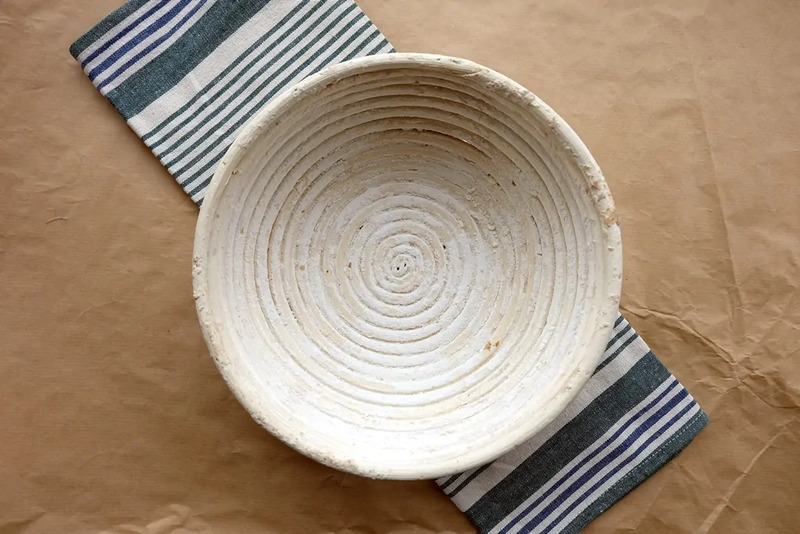 If you are looking for alternatives for proofing baskets, you could simply use a loaf pan to keep your dough in shape or improvise using a bowl lined with a flour-dusted lint-free tea towel. Alternatively, you could also try the all-rounder that is Lékué‘s silicone bread baker. It would be a missed opportunity not to take advantage of all the tempting Black Friday deals which are now also offered to us in the UK. I’ll be keeping track of Black Friday kitchen deals and Cyber Monday offers with a specific focus on baking equipment, kitchen appliances deals and kitchen knife offers. Watch this space but, while you are waiting, you can also check out the Amazon’s daily grocery and kitchen deals. Amazon’s deals will launch mid-November 2017. See kitchen deals below. Amazon – Great deals on cooking appliances and other domestic devices. Watch out for Amazon’s Lightening Deals which start at a particular time. You must be quick and signing up to Amazon’s Prime service can get you early access to these deals. If you are looking for thoughtful DIY Christmas gift ideas, baking homemade Christmas bread gifts could be a winning option. Giving bread as a gift has a long tradition, specifically for housewarmings, and giving bread as a Christmas present is an equally good idea. Christmas bread gifts are perfect for festive dinner parties and can be the ultimate a little something for neighbours and foodie friends. Merry baking! A lot of Christmas breads are decorative and tasty by default, so there are plenty of recipes to choose from. For example this German Stollen recipe and this easy Christmas wreath recipe. For this year’s Christmas gift breads I’m opting for a simple brioche recipe. Its inherent richness, the beautiful bake and glossy dome make for a luxurious Christmas bread loaf gift option. How to wrap bread as a gift? If you wrap your homemade bread gifts, you ensure your breads are recognised as the gifts they are. Wrapping bread as a gift can be as basic or elaborate as you like, but I tend to opt for something practical. Wrap in a colourful cotton kitchen towel which allows the bread to breathe and adds vibrancy to the presentation. 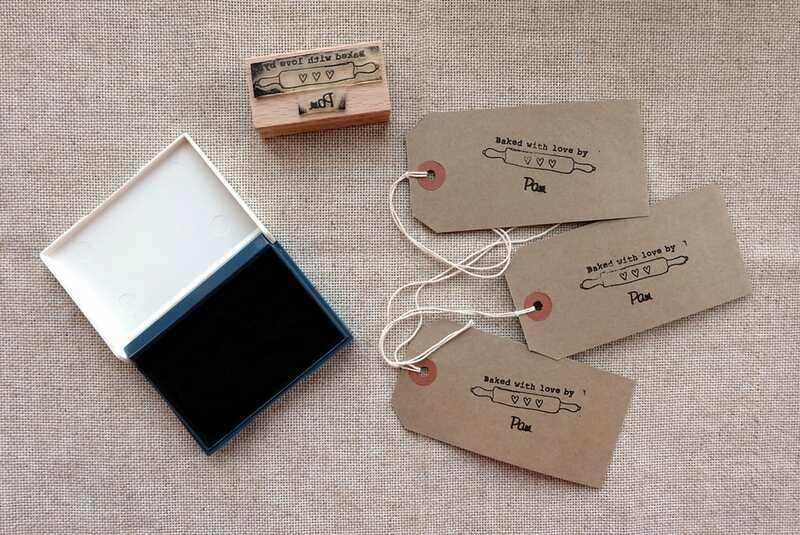 As a serial bread gifter, I have also invested in a personalised stamp and label set. Use baker’s twine to hold it all together. To provide a gift beyond the homemade bread, I like to add something practical into my homemade bread gifts. Place the bread into the decorative baking tin it was baked in. Baking tins and dishes fit well into any kitchen and there are plenty of options to choose from, for any budget. In the case of the brioche gift, it’s a nice idea to give the brioche dish away as part of the gift, for future bakes. It acts as the perfect bread loaf gift box. Here it is! Still boxed up and waiting to be unwrapped – my first ever stand mixer, acquired to make my ever increasing bread and baking output easier to manage. As a determined manual dough kneader, I’m excited yet apprehensive about using a stand mixer to ease dough handling. Savisto was kind enough to donate one of its shiny red stand mixers to the cause. Read on for my Savisto stand mixer review. I decide to ease myself into the process with a cake recipe to test the beater attachment. The Savisto booklet contains easy to follow instructions so the equipment is quickly assembled. The attachments are less heavy than I thought they would be but that may be down to my preconceptions. I’m impressed the equipment includes a silicone scraper, which I find to be invaluable for baking. The suction heads at the bottom of the stand mixer make sure it holds its position and I use both the beater and silicone scraper to mix a batch of rhubarb brownies. I’m delighted by how much time is freed up during the mixing process. I would have previously used a hand mixer to combine the various ingredients. Now, the Savisto stand mixer does the work for me and I have time to clear away the ingredients and tidy up after me while the work happens. The mixing works well; everything is mixed evenly and no unmixed ingredients stick to the bottom or sides of the bowl. 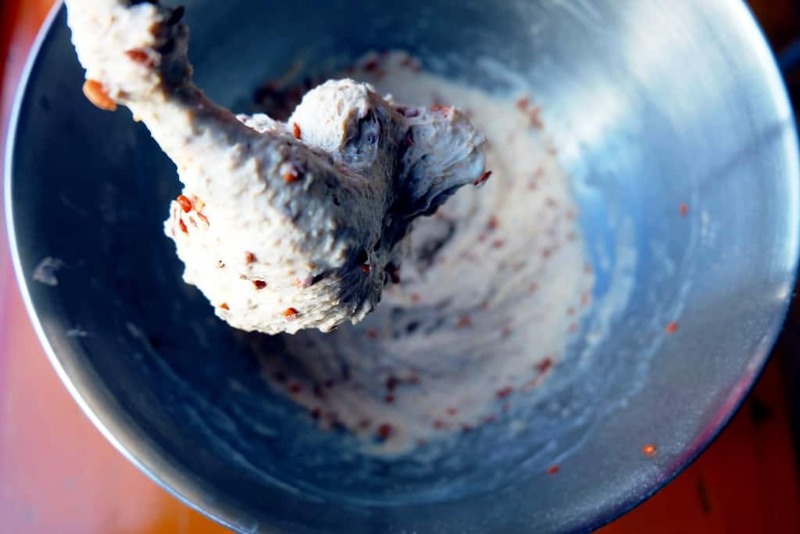 The handle on the mixing bowl comes in super handy when pouring the ingredients into the baking tin. The big question for me is testing the dough hook. 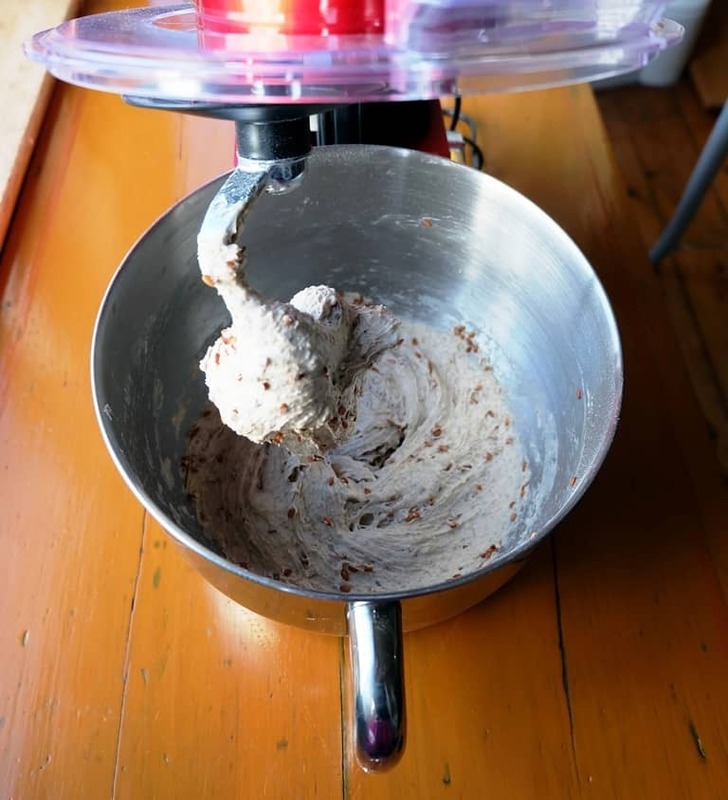 I decide not to give it an easy ride and choose my flaxseed bread recipe with a fairly heavy wholemeal and rye flour dough to truly test the Savisto mixer. The mixer sounds like it finds the mixing hard work, but doesn’t stumble and gets the job done. I knead the dough on speed level 2 for five minutes. Proving is easy, I just leave the dough in the mixing bowl, covering it with a plate. My hands stay almost clean, although it’s hard to judge the dough consistency, so I end up stopping the mixer and touching the dough several times to check its texture. As expected, the mixer performs well when I whisk some egg whites for a pavlova. The Savisto stand mixer is an affordable, well-designed and decorative stand mixer delivering all the benefits, work efficiencies and quality output you would hope for. 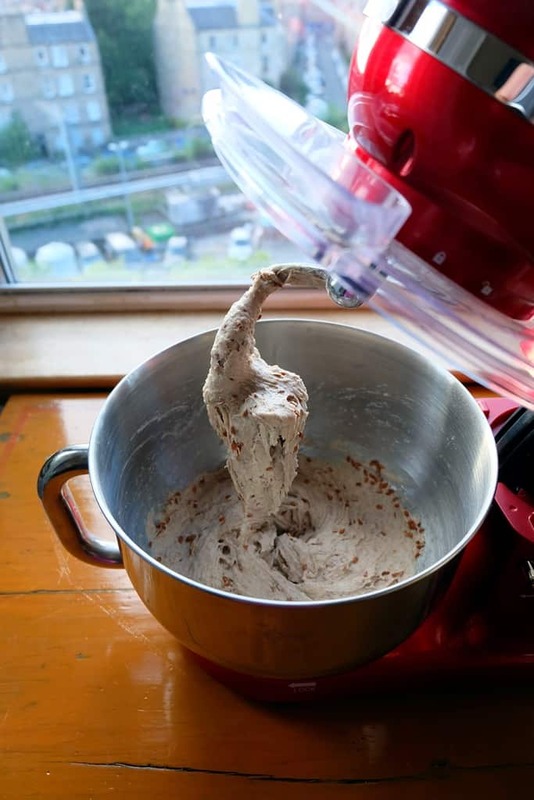 With its 800 watt motor, it has enough power to manage heavy wholemeal and rye flour doughs. The 5.5 litre stainless steel bowl is big enough to handle any cake batter or dough quantities I’d be looking to bake at home and the handle on the bowl is a welcome bonus. 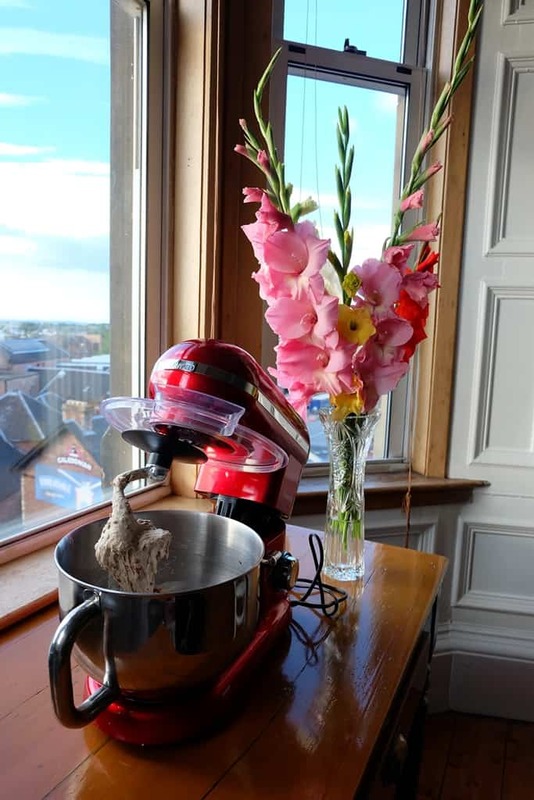 Overall, the mixer is a useful product with a competitive price tag – I would not hesitate to recommend it to other home bakers. Disclaimer: The Savisto stand mixer was received as a gift for product review purposes. I finally invested in a La Cloche baking dome earlier this year and what an amazing purchase it was. My loaves now brown more beautifully and I’m able to achieve a delicious looking and tasting crust while retaining a moist and chewy crumb. The baking dome arrived well-wrapped in its box and was immediately used to bake this beautiful loaf of sourdough bread. My positive experience has prompted me to write this raving review and mini guide. 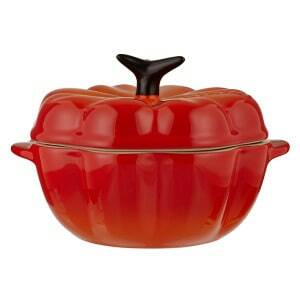 What is the La Cloche baking dome? How does the baking dome work? The baking dome traps steam from the dough within the dish. The clay pot is porous and moisture is trapped, but also conducted away from the surface as the bread bakes. 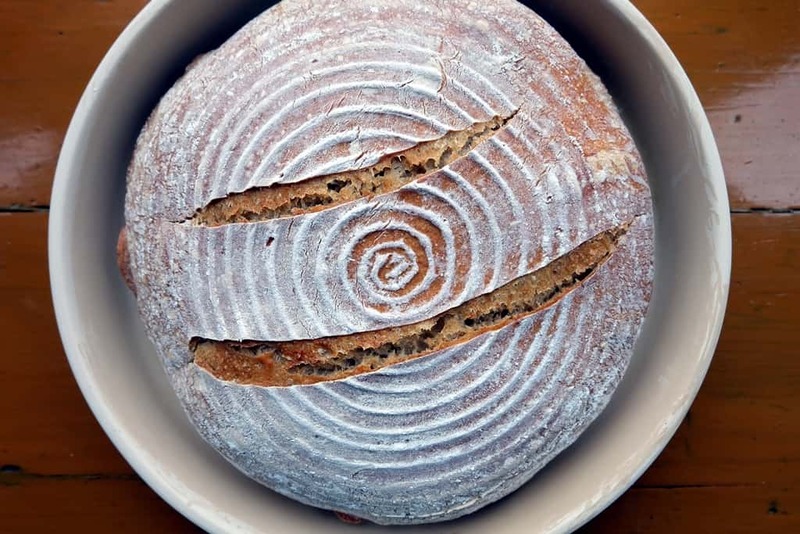 The only initial treatment you will need to give the bread cloche is to brush the bottom with vegetable oil (sunflower oil for example) to give it a light coating. 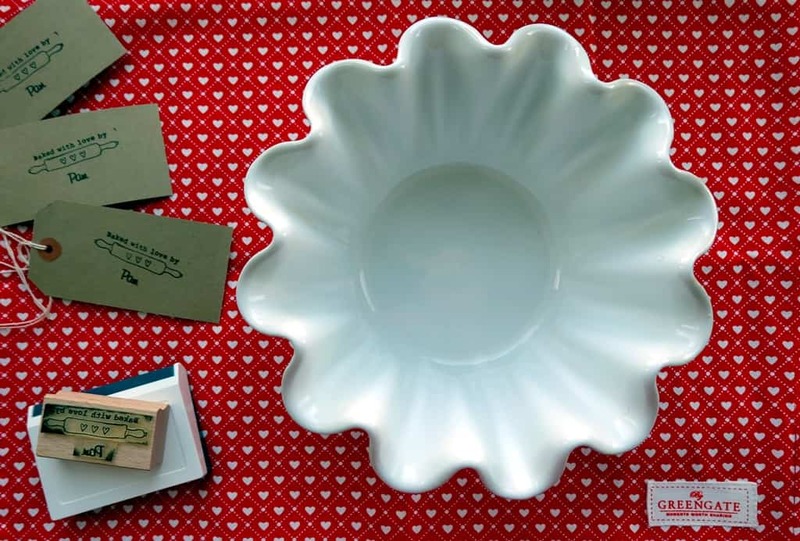 The inside of the bottom piece (the bell-shaped top part of the dish) doesn’t need it. To use it, turn out your proved loaf into the preheated clay baker and bake the bread in the covered dome. Always heat the clay baking dome with the oven, from cold to hot. Don’t put the clay baker in an already hot oven. Never make the mistake to spray the hot clay surface with cold water. In general, don’t do anything to cause the clay baker to suffer any sort of thermal shock in order to prevent it from cracking. Use a thin layer of semolina or corn meal in the interior base before you turn out your bread onto the clay bottom in order to prevent sticking. Uncover the bread loaf for the last 10 minutes of the bake to strengthen the crust. Why buy the La Cloche baking dome? 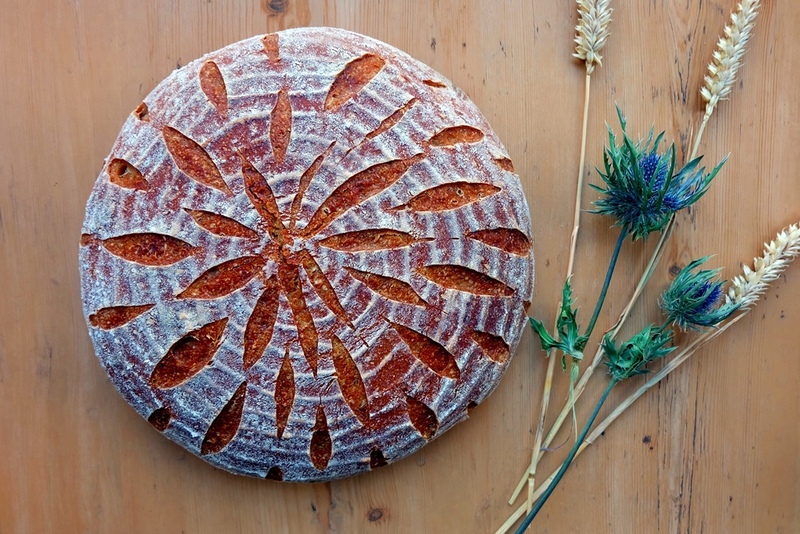 Make better looking loaves of bread in your oven at home as the dome mimics a baker’s oven. If you are baking in a standard home oven, using the stoneware baking dome will almost definitely improve the aesthetics of your loaves. Achieve a sublime golden-brown bread crust and a chewy and moist crumb. The La Cloche baking dome is easy to use, maintain and clean. You don’t need a baking stone, you don’t need to introduce water into the oven for steam, and you don’t need to dampen the cloche. All the moisture you need comes from the dough and is trapped inside. I tend to bake more than we can consume and freezing bread is a handy way to have homemade bread available at all times. This is particularly nice after a long weekend away or holiday when baking from scratch is not possible. Here are some frequently asked questions around freezing bread which will help you store bread in your freezer for your convenience. Yes, bread dough can be frozen. How to freeze bread dough? Once it has gone through the first rise, punch it down to deflate, shape into a ball and freeze in a polythene bag or several layers of plastic wrap. Take out frozen bread dough and thaw in the refrigerator overnight. Unwrap, reshape the loaf, cover and allow time to fully prove as normal. Yes, storing bread (also sourdough bread) in the freezer is easy. The best way to freeze bread is to simply put it into freezer bags (polythene bags or similar) and place in the freezer. You may find that the best way to freeze bread is to slice a loaf before freezing it. This makes it possible to remove individual slices and speeds up defrosting. This means that to freeze and thaw bread, it must be passed twice through ‘the danger zone’ (once as it cools and once as it is thawed) and this is estimated to add the equivalent of a day’s worth of staling at room temperature. The best way to defrost bread is to simply take the frozen bread out of the freezer and defrost at room temperature inside the freezer bag. Depending on the size of the loaf, crumb consistency of your bread and temperature in your room, it will thaw in a matter of a few hours. Yes you can refreeze bread after thawing, but bear in mind that it goes through more staling at the same time (see notes above). Instead of refreezing, I would recommend to just go ahead and eat it 🙂 There are plenty of recipes for stale bread as well. 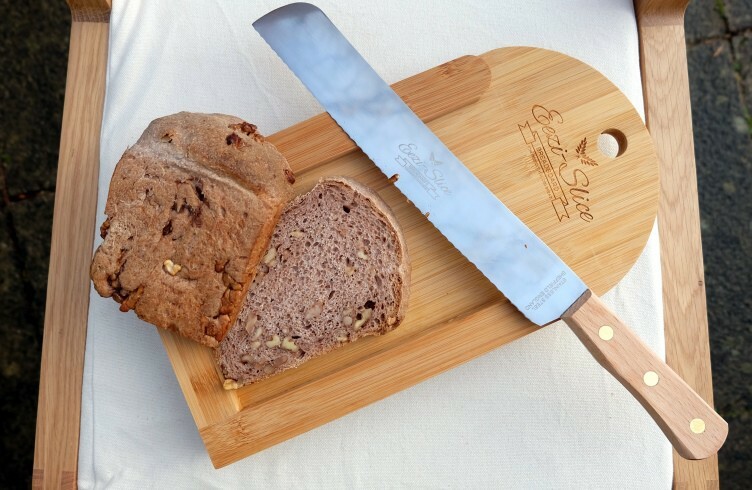 Investing in a good-quality bread cutting board should be a no-brainer for home bread bakers. It’s one of the most commonly used pieces of equipment in my kitchen, so a good quality board is essential. Having used this beautiful but entirely unpractical chopping board until recently, the breadcrumb mess it left behind finally got to me and I invested in a new bread cutting board – with crumb catcher. The material. It has to be wood. The usual advice for chopping boards is to go for hardwood end grain boards as they are easy on knife edges and least likely to warp. As I’m looking for a crumb catcher type design, my bread board of choice has to be made from sustainably sourced hardwood. The shape. It has to be big. Some of the loaves I bake are pretty substantial, so a small cutting board is too small for big sourdough loaves and large rye tin breads. The design. 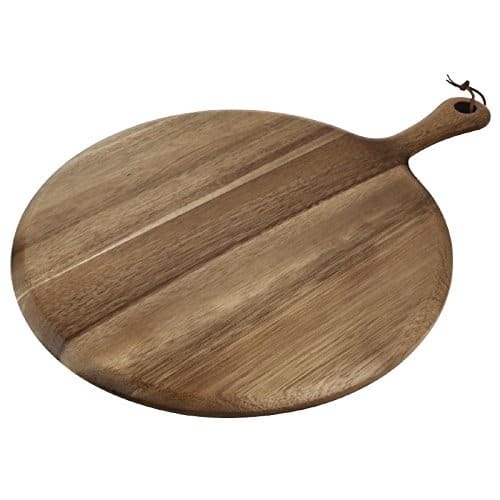 It has to catch crumbs and luckily there are some great boards designed just for that purpose. 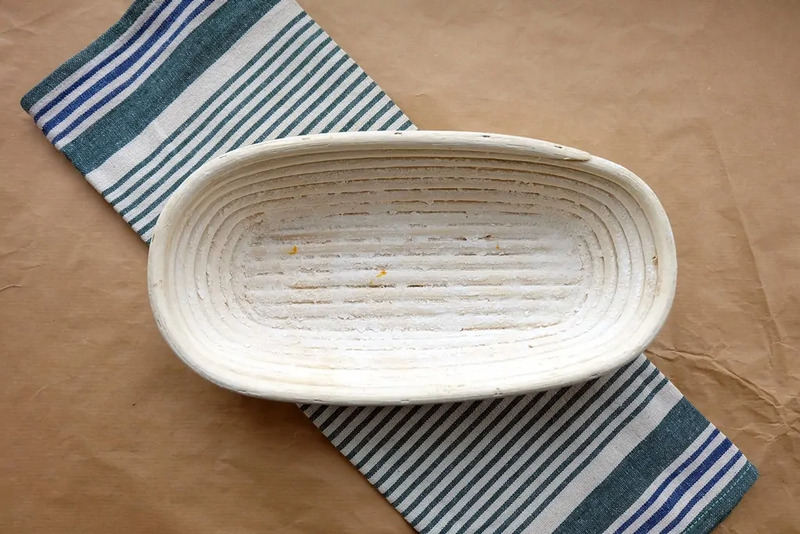 With a design different to most other crumb-catching boards I’ve seen, this bread board is as practical as it is decorative. If you already own a Wüsthof bread knife, you could get this top quality Wüsthof bread cutting board to suit. What’s your bread board like, share your tips! Halloween is a great time for baking. I try to do something new every year and here are some fun Halloween baking ideas and recipes I’ve collected. From fun ghoulish breadsticks to the traditional Irish barmbrack and a decadent chocolate orange cake, here are some creative Halloween recipe ideas for you to try. Chocolate pumpkin cut out cookies – decorated with royal icing to create a fun mummy effect. Savoury pumpkin rosemary bread – a deliciously moist bread with a lot of structure and bite and a crisp and toasty crust. The bread has a mild pumpkin flavor with a hint of rosemary. 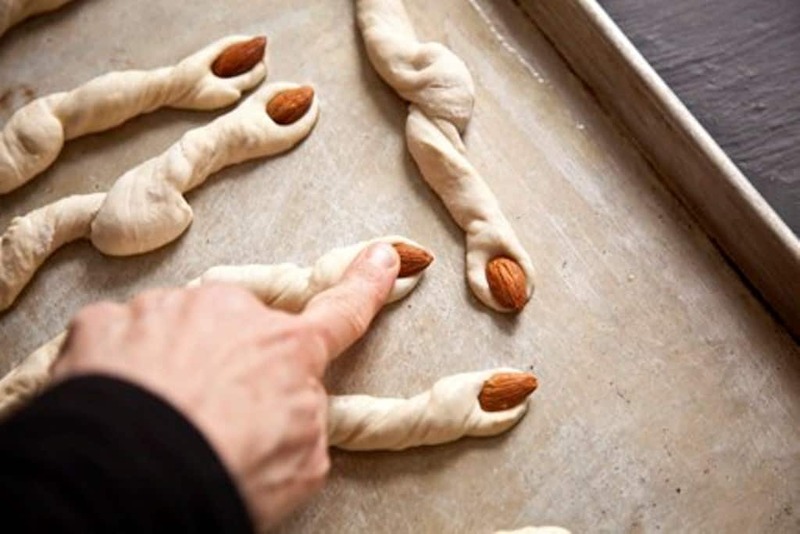 Ghoulish breadsticks – one of my favourite Halloween snack ideas, how brilliant are these almond fingernails! Irish Halloween barmbrack – a sweet bread leavened with yeast, enriched with milk and butter, infused with cinnamon and nutmeg. Bake in traditional Halloween tokens for added suspense. Orange pumpkin face cookies – fun biscuits to give to trick or treaters. Halloween chocolate orange cake – stylish and delicious, ideal for Halloween dinner parties. homemade pizza dough to make a great accompaniment to Halloween cheese boards. Fruity caramel baked apples – good old baked apples with brandy or whisky cream for a tasty touch. 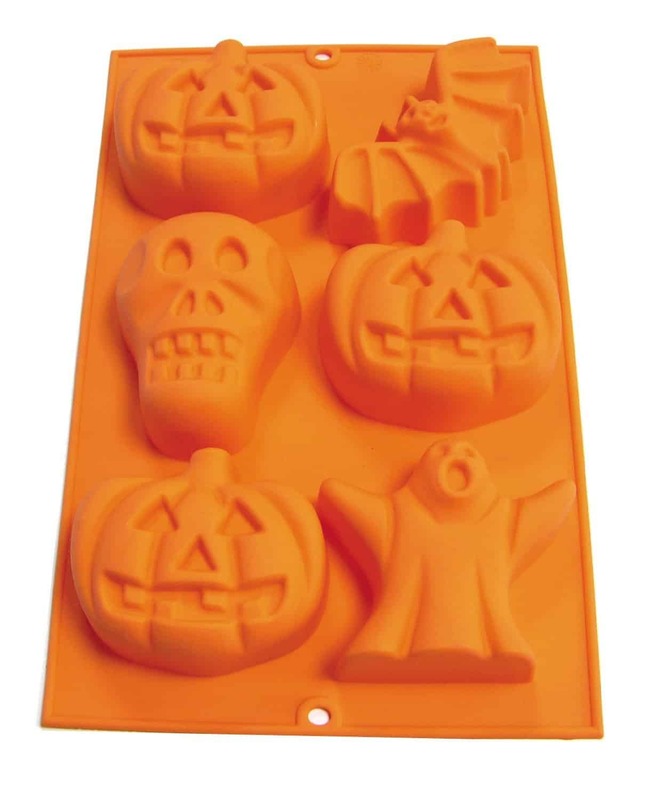 There are also some cool Halloween baking tools you can work with. I’m a big fan of Lékué products and have invested in two of their signature silicone moulds: a 3D pumpkin form and Halloween themed skull, bat, pumpkin and ghost mini shapes. 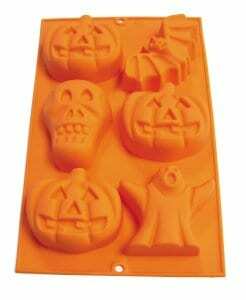 I’ve baked Halloween cornbreads in these smaller moulds. Controversial, I know, but I love a savoury bake. Finally, a quick mention of this Le Creuset’s volcanic orange petite pumpkin casserole dish, how cute!